Things to think about: Would this object be used in any occasion? Why did the maker choose the material used for this object? Why do you think it is in the museum's collection? Thank you for your interest in summer programming here at the Albany Institute. Here is a link to the Artful Mornings summer program offerings: http://www.albanyinstitute.org/educationproduct/product/Artful-Mornings-2017.html We hope to see you and your young artists this summer! Thank you for your interest in our summer Artful Mornings program! The summer programs will be published March 1st and are expected to run from the weeks of July 9th to August 27th 2019. We hope to see you and your young artists at the museum this summer. Join us for a night to remember at the 2019 Museum Gala on June 7, 2019 at the Albany Institute of History & Art. This year’s gala is again At the museum, For the museum. The 2019 Museum Gala will be held on Friday, June 7 from 6-10PM and will celebrate the museum’s award-winning exhibitions and programs with dinner in the galleries at the Albany Institute. The Albany Institute of History & Art is thrilled to announce Charles M. Liddle III (Chuck) and his late wife Nancy Hyatt Liddle as the Honorary Chairs for this year’s Museum Gala. Chuck and Nancy are recognized as outstanding supporters of the arts and of the museum for decades. The event is co-chaired by Denise Gorman & Charlotte Gorman. The Museum Gala is Albany Institute’s largest fundraiser as it supports our exhibitions and educational programs. This year’s gala, inspired by the current exhibition Bejeweled and Bedazzled: Jewelry and Personal Adornment, will celebrate the Museum with cocktails and dinner provided by Mazzone Hospitality in our galleries, surrounded by artwork. The evening will be a truly memorable event as we continue to support the museum’s future. Honorary Committee tickets and Corporate Sponsorship opportunities are now available. For more information on this year's honorees, please click here. 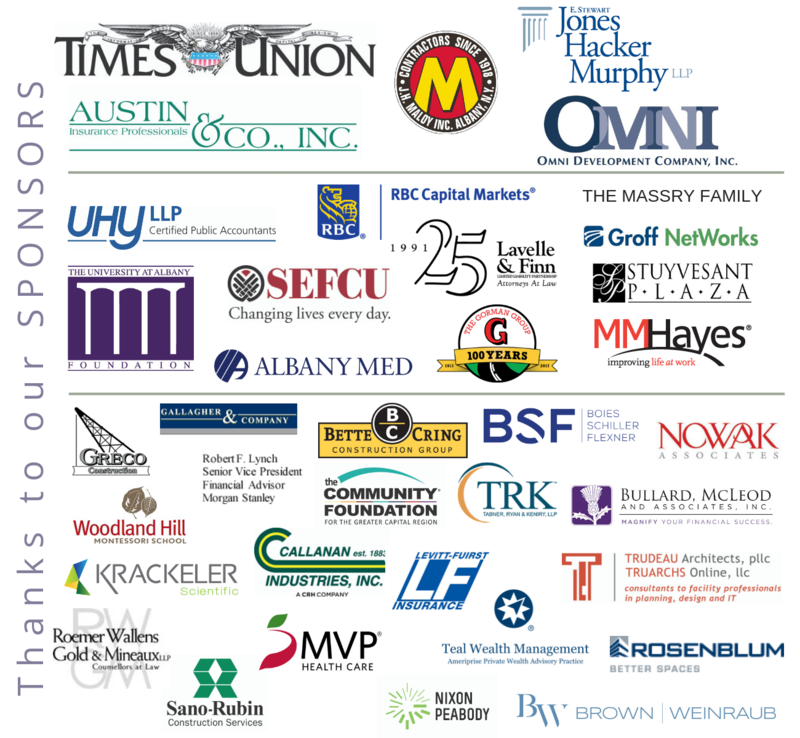 For information about sponsoring the event, please click here. Join the Honorary Committee by Wednesday, April 17 to be included in the invitation. Join author Katherine Aalto and the Fort Orange Garden Club for a reception with light refreshments and a special lecture. Aalto, author of The Natural World of Winnie-the-Pooh: A Walk Through the Forest that Inspired the Hundred Acre Wood, will take us on a journey into the real Ashdown Forest, which inspired one of the most iconic settings in children’s literature. You will discover the real places that inspired the stories as well as the rare flora and fauna of this forest. A.A. Milne’s tender adventures offer a hymn to those days of doing nothing while yet learning everything. Space is limited and reservation are requested. Pricing and RSVP information available on the Fort Orange Garden Club’s website: www.fortorangegardenclub.org. Come to the museum to have well-known local appraiser, Mark Lawson, and a team of certified gemologists tell you the fair market value of your jewelry. Appraisals are $5 per piece of jewelry with a limit of three per person. Be sure to see the jewels on display in the exhibition Bejeweled and Bedazzled: Jewelry and Personal Adornment. This exhibition is included with regular museum admission. Diane Burke has been appraising jewelry in the Capital District area for the past 20 years. She has a Graduate Gemologist degree from the Gemological Institute of America and is a Senior Member of the National Association of Jewelry Appraisers. Diane owns and operates A+ Associates Gemological Laboratory located in Troy N.Y. and provides gemological and jewelry appraisal services of all kinds including gem identification, diamond and gem verification, insurance and estate appraisals and verbal consultations. Joyce Panitch holds a Graduate Gemologist diploma from the Gemological Institute of America. She is a Senior Member of The National Association of Jewelry Appraisers, and holds a Registered Master Valuer diploma. Joyce is the owner of Alpha Gem Lab in Albany, New York. She does not buy or sell, and has provided independent, unbiased appraisals for almost twenty years. Albany Institute members are invited to join the museum's Board of Trustees for a reception with light refreshments followed by a tour of current exhibitions. Free, but reservations are required. RSVP to Barbara Speck at speckb@albanyinstitute.org or (518) 463-4478, ext. 414. Enjoy a special after-hours Members-only tour of Bejeweled and Bedazzled: Jewelry and Personal Adornment with curators Doug McCombs and Diane Shewchuk. Space is limited and reservations are required. RSVP to Barbara Speck at speckb@albanyinstitute.org or (518) 463-4478, ext. 414. Join us for hors d'oeuvres and celebrate the opening of two new exhibitions Shape and Shadow: The Sculpture of Larry Kagan and Bejeweled and Bedazzled: Jewelry and Personal Adornment. RSVP online or call (518) 463-4478, ext. 437. IMAGE: Hershey Art, Larry Kagan, 2011, light and steel wire, artist collection. Photograph by Gary Gold. Join the Albany Institute of History & Art on this tour of New York State's preservation and conservation center at Peebles Island State Park in Waterford, New York. Talk with conservators and hear about current efforts to conserve museum material related to New York State historic sites. After the tour, enjoy lunch at Smith's in Cohoes with the group. Pay-as-you-wish on this festive evening as the Albany Institute celebrates #GivingTuesday. Admire the museum decorated for the holidays, sip hot chocolate, and enjoy Cider Belly doughnuts. Get a sneak preview of our 2019 exhibitions through the eyes of our curators, who will bring out collection items that will be shown next year. Tour the galleries with Executive Director Tammis K. Groft, or enjoy coloring in the Art Studio with our education department. Reservations requested. Reserve your spot by contacting Nicki Brown at brownn@albanyinstitute.org or (518) 463-4478 ext. 437. Come to the Albany Institute this Thanksgiving weekend for a variety of holiday themed programs and events. We'll be decked out in winter wonder and ready to welcome you and your out-of-town guests! Special event on Saturday, November 24 from 2-4PM: Book signing with children's book author Hudson Talbott. His newest book is Picturing America: Thomas Cole and the Birth of American Art. Sorry, registration is currently full. Join us in the galleries for Work of Art, a contemporary art auction to benefit local artists and the Albany Institute. Bid on this silent auction to add art to your home or find the perfect gift. This year, join us as we recognize Michael Oatman for all of his remarkable accomplishments as a champion of contemporary art in the Capital Region. Enjoy delicious hors d'oeuvres and drinks from Mazzone Catering and help us honor Michael Oatman on an evening to celebrate art in the Capital Region. Tickets are now available. Click here for the Honorary Committee letter. The deadline to submit artwork for consideration has now passed. Online ticketing is no longer available. Please contact Nicki Brown at brownn@albanyinstitute.org or (518)463-4478 ext. 437 with questions. Thank you to our Honorary Committee!